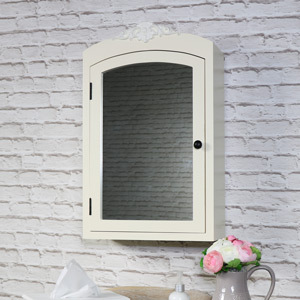 Update your bathroom with some fabulous new furniture! 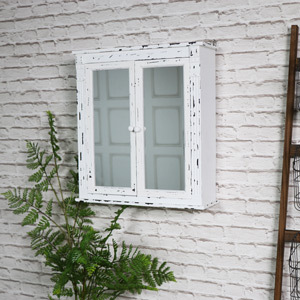 Here at Melody Maison we stock a beautiful selection of vintage, shabby chic, rustic and ornate French style cabinets, shelves and storage units in a variety of colours and sizes that will help complete your bathrooms look. 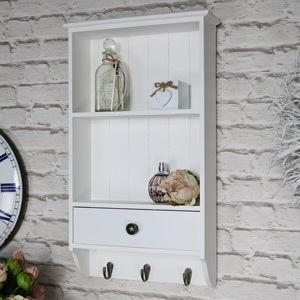 Do you want a rustic new storage unit to store your lotions and potions in? 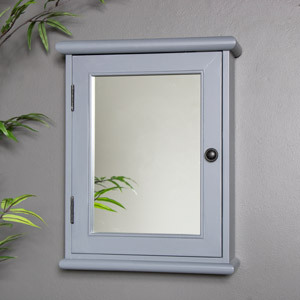 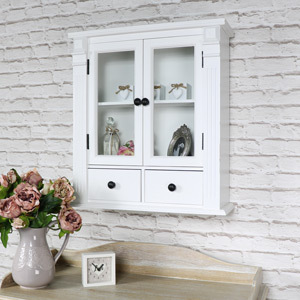 The Salford White Range may be exactly what you are looking for. 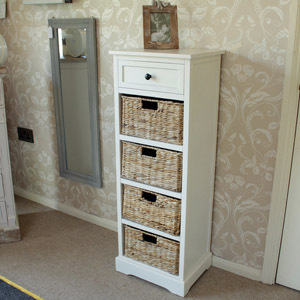 Its woven wicker drawers are ideal bathroom storage while its small and slim design means it can fit in the smallest of bathroom spaces. 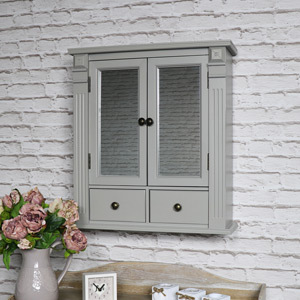 Perhaps you have been searching for a gorgeous bathroom cabinet and want something with beautiful ornate detailing? 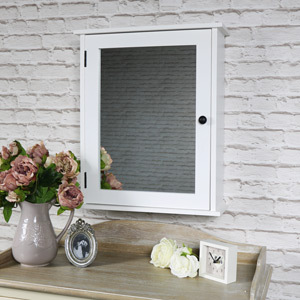 This gorgeous Cream Mirrored Bathroom Cabinet would look stunning. 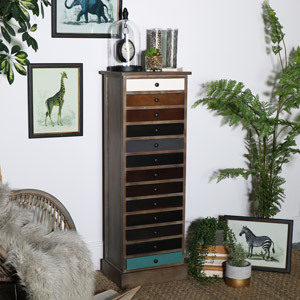 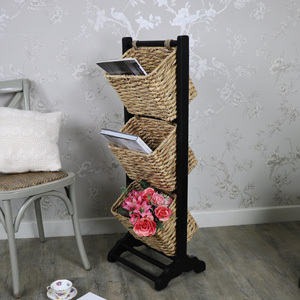 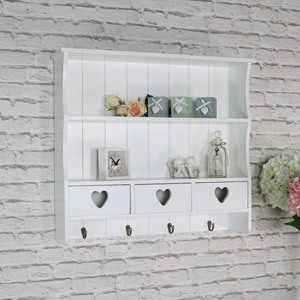 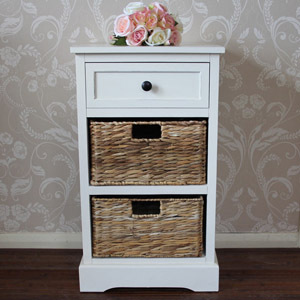 Or maybe you want some extra storage that looks gorgeous and won’t take up too much space? 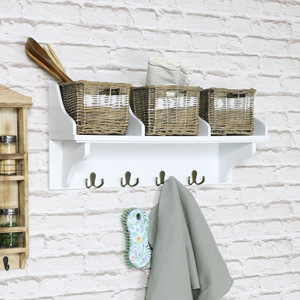 We adore this Rustic Wooden Ladder with Basket Storage – cool, quirky and so chic. 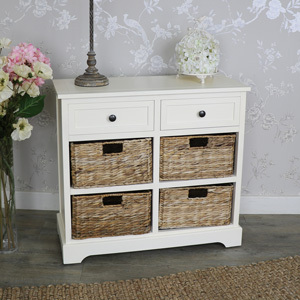 View our full selection of bathroom furniture and find the perfect piece for your home. 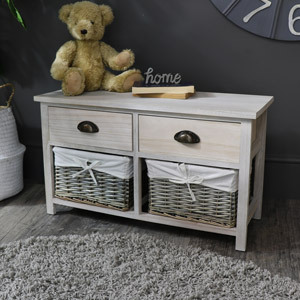 All Melody Maison bathroom furniture has been made from high quality materials, crafted with care and finished beautifully.